ASUS has quietly released its own single-board computer to rival the massively popular Raspberry Pi – it's here now and it’s quite a beast. 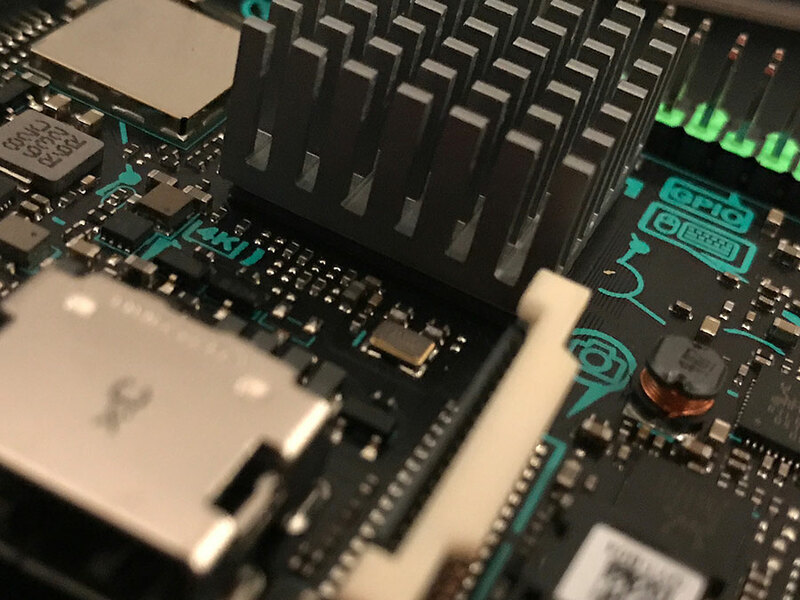 Although the Tinker Board follows the standard Raspberry Pi form factor pretty closely, it packs a much faster processor, double the memory, and supports 4K video as well as 24-bit audio. In addition to this, the board comes with a 40-pin header with 28 GPIO pins, which are also colour-coded to make things a little easier. At £55 it's a fair bit more than the £34 Raspberry Pi 3 but the specifications kinda speak for themselves and if you're looking to build a mini video streaming device this surely tops out, over the Pi. The board comes with its very own heatsink included in the box which is a nice addition and will surely help to keep things cool. 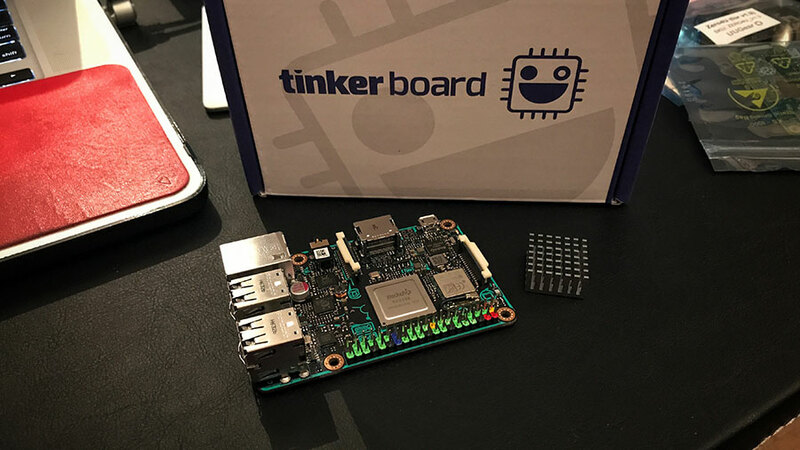 Much like its competitor, the Tinker Board will run a custom version of Debian Linux and supports Kodi for home media streaming. There are plans to expand the current OS support with Ubuntu and openSUSE. Whilst the ASUS Tinker Board specifications appear to blow the Raspberry Pi 3 out of the water; it's important to know that the Tinker Board only has a 32bit CPU, while the Raspberry Pi 3 has a 64bit CPU which is a tiny bit of a let-down to be fair, but for most; it won't be an issue. The packaging is nice and friendly looking with the smiley faced chip logo and it's a pretty sturdy box. 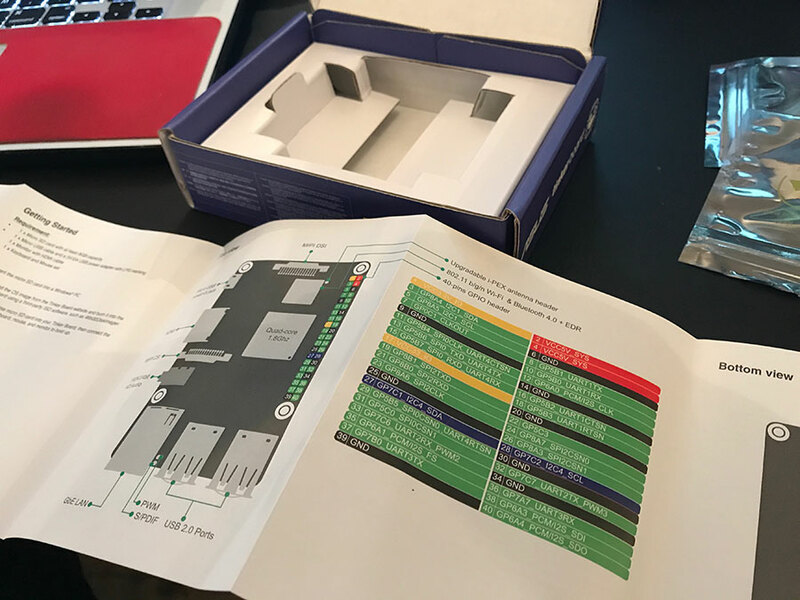 Inside you'll find the main board, the included heatsink and a small fold-out information sheet. There's little information on software though; there's no URL noted and searching Google lands you with dozens of news stories that we've quoted headlines from above. 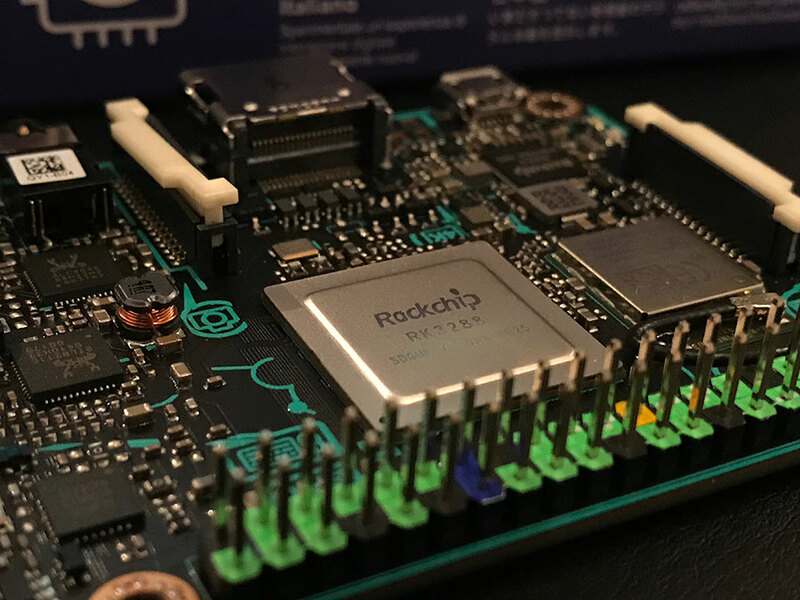 It's surprising that the Tinker Board is pretty hard to find on the ASUS website; a mini-site at the very least would be a very nice inclusion and would be extremely helpful for those just starting out and choosing the Tinker Board over the Raspberry Pi. It's another example of how new to the scene this board is but it doesn't display professionalism. A shortened URL for the above should definitely be included with the board! Give Etcher a try when burning your SD Card; it's free, open-source and an excellent tool for simplifying the process no matter what system you're using. The Debian image looks like a clone from an ASUS test board that they got working by hand (you can see their command history) and not what you'd expect as a proper release image but it's pretty much stock Debian Jesse. SSH is enabled by default with the standard, hard-coded user being part of the sudo group; you're going to want to change this immediately. The Raspberry Pi Foundation did a much better job of their OS images and ASUS should really know better; it seems rushed. We're going to have a play around with the Debian build for a while and also take a look at the Kodi build. Recieve news directly to your email.